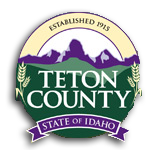 BIDS for the 2019 Gravel Crushing Project will be accepted at the Teton County Engineer’s Office at 150 Courthouse Drive, Driggs, ID until 10:00 AM MDT on April 26, 2019 and then publicly opened and read aloud at the Teton County Courthouse. The work involves crushing and processing gravel products at the County gravel pit located in Driggs, ID. It is the intent of the bid documents to describe the work required to complete this project in sufficient detail to secure comparable bids. The Contractor shall comply with all fair labor practices and must meet the requirements of State statutes. In determining the lowest responsive bid, the County will consider all acceptable bids on a basis consistent with the bid package. The County will also consider whether the bidder is a responsible bidder. Before a contract will be awarded for work contemplated herein, the County will conduct such investigation as is necessary to determine the performance record and ability of the apparent low bidder to perform the size and type of work specified under this Contract. Upon request, the Bidder shall submit such information as deemed necessary by the County to evaluate the Bidder’s qualifications. No Bid may be withdrawn after the scheduled time for the public opening of the bids specified above. The County reserves the right to reject any or all Bids received, to waive informalities, to postpone the award of the contract for a period not to exceed sixty (30) days, and to accept the lowest responsive and responsible Bid which is in the best interest of Teton County.